OSHA, ASME, and CMAA have developed documented standards and best practices for overhead crane inspection. 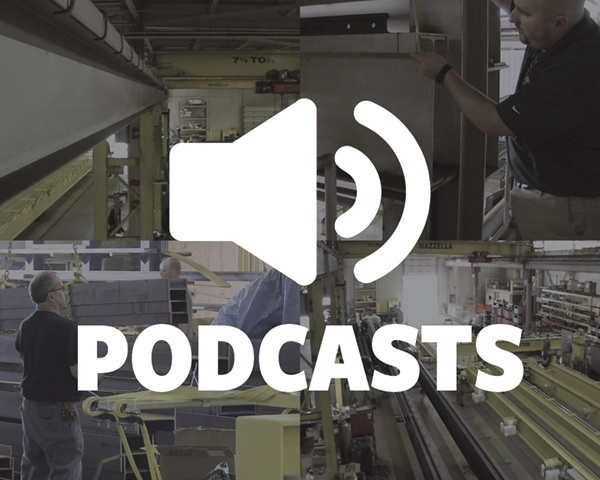 At Mazzella Companies, we do so much more than design, build, and service overhead cranes and hoists. We also offer on-site crane and hoist inspection services and have experienced and certified inspectors on staff to help keep your equipment in proper working condition and to review your documentation for compliance with industry standards. 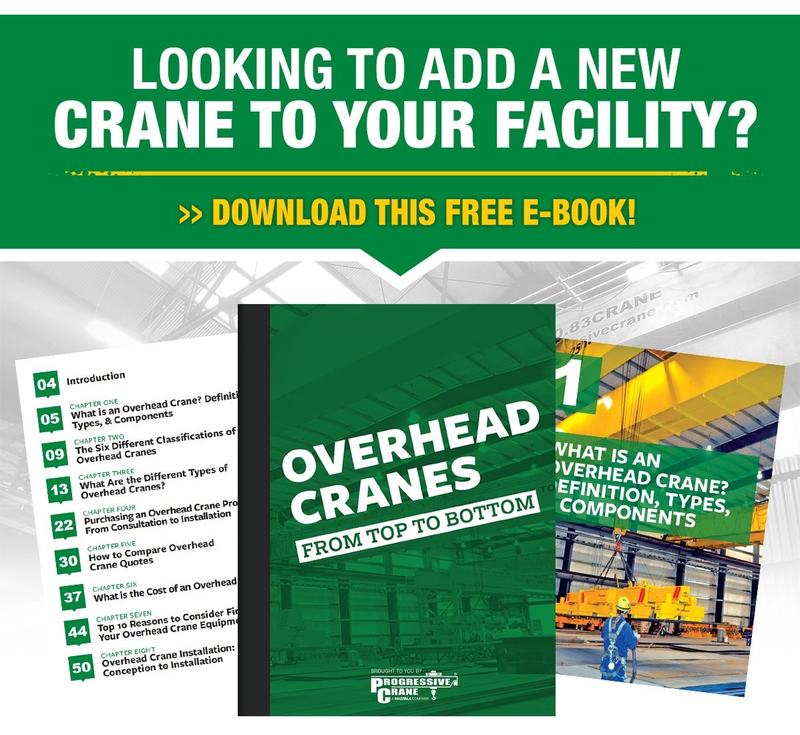 OSHA (Occupational Safety and Health Administration), ASME (The American Society of Mechanical Engineers) and CMAA (Crane Manufacturers Association of America) are the three governing bodies that have developed documented standards and best practices for inspection and preventative maintenance of overhead cranes. 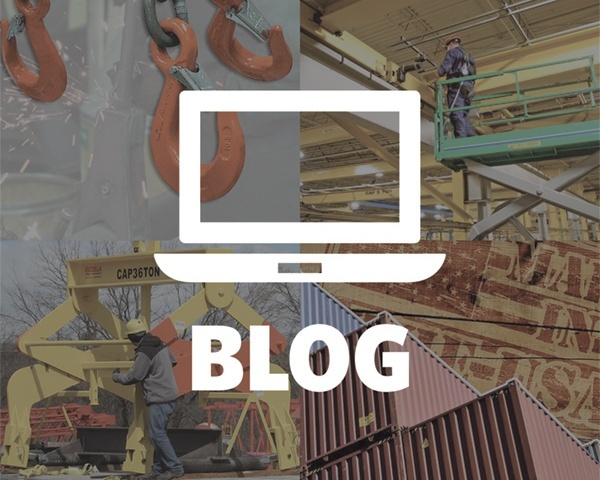 Our goal for this article is to break down and summarize these inspection standards and help you understand how you can become OSHA compliant in regards to overhead crane inspection, preventative maintenance, crane repair, and user training. A new crane’s initial inspection shall be performed by a qualified OEM representative in accordance with OEM recommendations. An altered, repaired, modified or reinstalled crane’s initial inspection shall be performed by a qualified person to assure that the modified component(s) have been properly installed and functionally tested. MANUFACTURERS’ RECOMMENDATIONS – In addition to the types of inspections listed above, any inspection provisions found in the manuals supplied by the manufacturer(s) of the crane and the crane components shall also be followed. The inspection procedure for cranes in regular service (operating at least one time per month) is divided into two general classifications based upon the intervals at which inspection occurs. The intervals are dependent upon the nature of the critical components of the crane and the degree of their exposure to wear, deterioration, or malfunction. The two general classifications we’ll be focusing on are the criteria for Frequent and Periodic inspections. Check that the crane or hoist is not tagged with an out-of-service sign. Check that all motions agree with control device markings. Check that all braking motions do not have excessive drift and that stopping distance is normal. *Check hook for damage, cracks, nicks, gouges, deformation of the throat opening, wear on saddle or load bearing point, and twist. Check that the hook latch, if provided, is not missing and operates properly. *Check wire rope for broken wires, broken strands, kinks, any deformation or damage to the rope structure, or loss of lubricant. 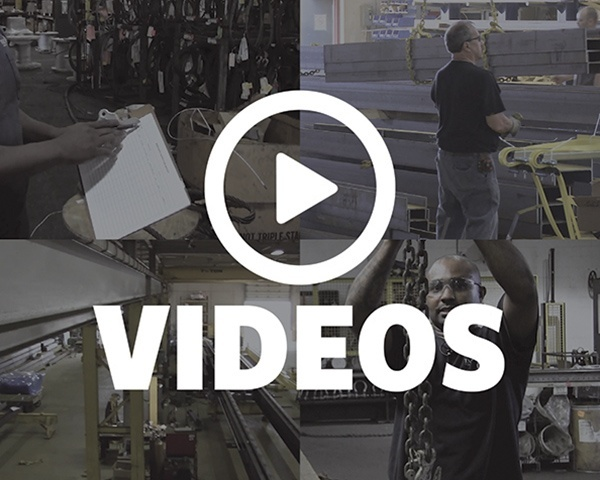 *Check load chain, including end connections for excessive wear, twist, distorted links or stretch, beyond the manufacturer’s recommendations. Check that the wire rope or load chain is properly reeved and that rope or load chain parts are not twisted. Make sure wire rope is properly seated in drum grooves. Check that the hoist upper/lower limit devices stop lifting or lowering motion of the hoist load block before striking any part of the hoist, crane, or floor. Check bridge and trolley travel limits for proper function. Check for any sign of oil leakage on the crane and on the floor beneath the crane. Check for any unusual sounds from the crane or hoist mechanism while operating crane and hoist. Check that warning and other safety labels are present and legible. Check that audible and visual warning devices are operational. Items marked with (*) shall be documented with a certification record which includes the date of inspection, signature of the person who performed the inspection, and the serial number or identifier of the hook, chain, or wire rope that was inspected. Check that structural members are not deformed, cracked, or corroded. Foot walks are free from debris, grease, etc. Check that the operating cab has the proper fire extinguisher in place. Check for proper capacity labels, and that they are legible from the floor. Are warning signs in place and legible? Check connection points for loose/broken bolts or rivets. Check sheaves and drums for worn, cracked, bent, or broken parts. Check for loose or missing hardware. Check brake system parts, linings, pawls, and ratchets for excessive wear and proper adjustment. Check to make sure electric control brake functions properly. Check indicators, gauges, or other devices for calibration and load, wind, and other indicators over their range. Check self-contained electric, hydraulic, or gasoline powered generating units for improper performance or noncompliance with applicable safety requirements. Check transmission for excess wear of chain drive sprockets and excessive chain stretch. Check gearbox for gear teeth wear and proper lubrication. Check all electrical apparatus for signs of pitting or any deterioration of controller contactors, limit switches, push button stations, motor slip rings, brushes and resistors. Check for loose or damaged wiring, or evidence of overheating. Check all bumpers and end stops for damage. Check for proper restraints and obvious under sizing or improper energy absorption capabilities. Check trolley and runway rails and fastening devices for looseness, gaps, misalignment, and wear. Check runway structure for proper anchors, loose bolted connections, corrosion, and cracked or deformed members. Check the conductor system alignment, fastening, splices, power feeds, and conductor shoes for wear. Check below-the-hook devices for cracks or structural damage. Check mechanical components for wear, alignment, and missing or loose hardware. Check all motors, pendant or remote radio controls, and wiring. Check that all guards are in place and secure. NOTE: A qualified person shall determine whether conditions found during the inspection constitute a hazard and whether a more detailed inspection is required. Any unsafe conditions uncovered during inspection shall be corrected before operation of the crane is resumed. Adjustments and repairs shall be done only by designated personnel. A crane that has been idle for at least 1 month, but less than 6 months, shall be inspected conforming to the Frequent Inspection requirements. A crane that has been idle for 6 months or more, shall be given a complete inspection conforming to the Frequent Inspection and Periodic Inspection requirements. A standby crane—meaning a crane which is not in regular service but which is used occasionally or intermittently—shall be inspected at least semi-annually in accordance with the criteria required for Frequent Inspection, as well as the criteria for Idle Wire Rope Inspection (see below). IDLE WIRE ROPE INSPECTION – All wire rope which has been idle for a period of 1 month or more due to shutdown or storage of a crane on which it is installed, shall be given a thorough inspection before it is used. A certification record including the date of the inspection, the signature of the person who performed the inspection, and an identifier for the wire ropes which were inspected, shall be kept on file. After the wire rope has been inspected, you will determine if any observed deterioration, defects, or damages to the wire rope will result in a safety hazard with continued use. If the wire rope is deemed a safety hazard, it needs to be removed from service, quarantined, and be replaced. Plant managers and maintenance personnel need to establish a preventative maintenance program for their overhead crane based on the recommendations of the crane manufacturer. Each manufacturer has their own recommended protocol for regular and scheduled maintenance of their equipment, so it is important to consult with them directly regarding any questions or issues regarding crane operation, application, and maintenance protocols. According to ASME B30.2 standards, it is the responsibility of management (owners/users) to provide training to those who will be operating the crane, as well as those who perform maintenance or repairs on a crane. Operator Training – Crane operator training shall be provided to promote proficient performance of a crane operator in accordance with best practices. Maintenance Training – Maintenance training shall be provided to promote proficient adjustments, repairs, and replacements to an overhead crane that will allow the crane to perform. Training shall also be provided to persons who maintain the mechanical, structural, and electrical components of an overhead crane system. A certificate or formal record of training will be issued to any person who has been trained and passed the examination requirement. Following industry standards and best practices will help to keep crane and hoist equipment operating at top efficiency. 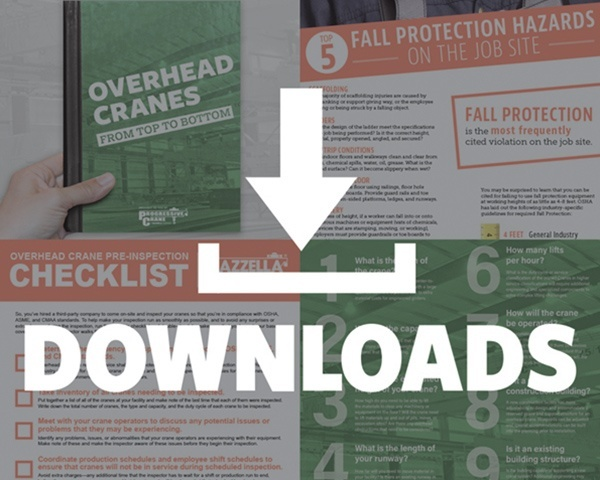 As you can see, there is a lot to consider when determining if your overhead crane program is in compliance with OSHA standards—including how your inspection, preventative maintenance, repairs, and user training initiatives match up with industry best practices. Sometimes it can be difficult to determine where you should begin. If you’re struggling with where to start, up against an inspection deadline, or need on-site or classroom training for operator safety and rigging safety, get in touch with one of our crane service specialists and we’ll connect you with the closest crane service provider. Consultation on inspection reports and actionable items regarding any hazards, mechanical issues, or opportunities for improvement to help keep your employees safe, reduce downtime, and extend the life of your equipment. Following the documented OSHA standards and best practices for overhead crane inspection and preventative maintenance will help keep crane and hoist equipment operating at top efficiency, keep your employees safe, reduce costly down time, and extend the life of the equipment. Next Article How Much Does an Overhead Crane Inspection Cost?